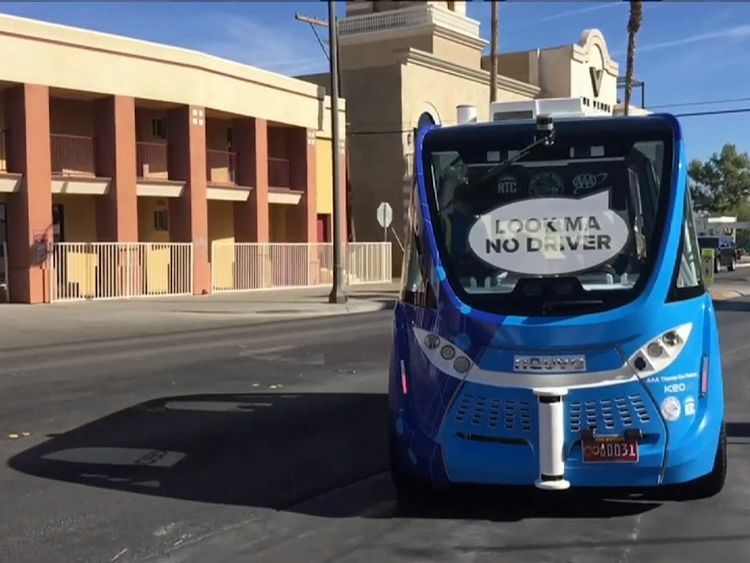 A driverless shuttle bus has been involved in a crash less than two hours after it was launched in Las Vegas. Police said a lorry driver who reversed into the electric vehicle was responsible for the prang, which did not cause any injuries. City spokesman Jace Radke said the shuttle stopped when it sensed the lorry was approaching, but the larger vehicle kept moving. The lorry hit the front bumper of the bus, but there was no visible damage and the shuttle did two more circuits of its route after the accident.The collision happened soon after an unveiling ceremony to promote what officials described as the first self-driving shuttle pilot project aimed at the US public. 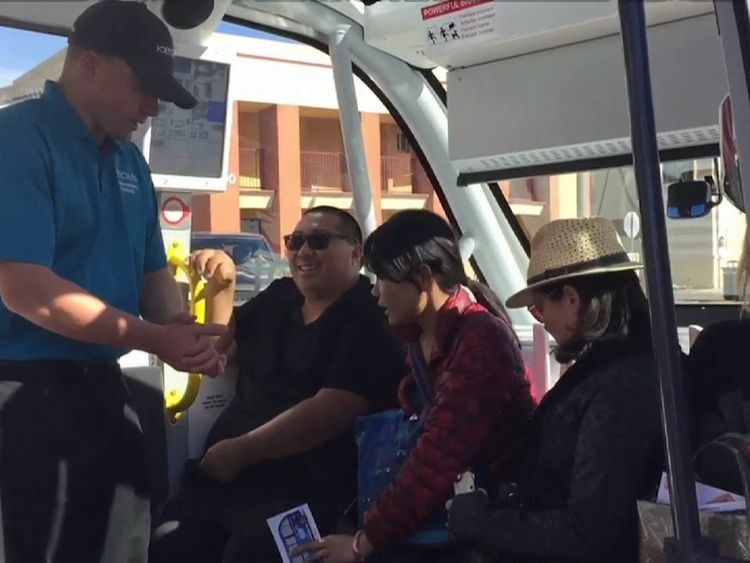 The bus, which can hold up to 12 passengers, has an attendant and computer monitor but no steering wheel or brake pedals.It uses GPS and electronic kerb sensors to navigate the roads.Before the crash near the Fremont Street entertainment district, dozens of people had queued up for a free journey in downtown Las Vegas. » Is Google back-tracking from building its own driverless car?